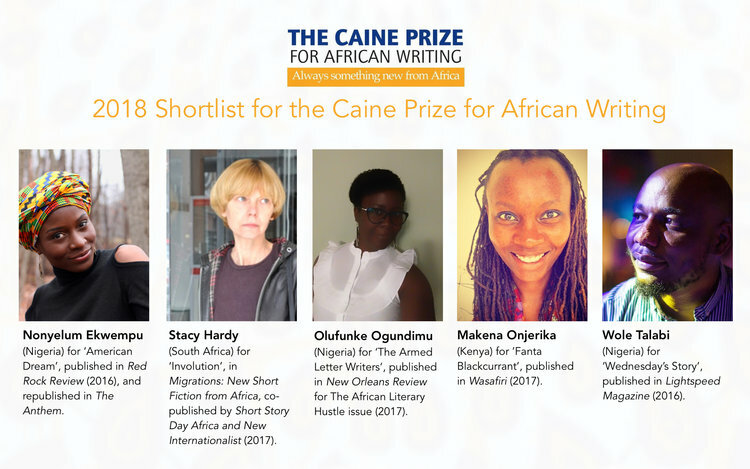 The five shortlisted stories, alongside stories written at the Caine Prize Writers’ Workshop – this year held in Rwanda in March/April – are published annually by New Internationalist (UK), Interlink Publishing (USA), Jacana Media (South Africa), Lantern Books (Nigeria), Kwani? (Kenya), Sub-Saharan Publishers (Ghana), FEMRITE (Uganda), ‘amaBooks (Zimbabwe), Mkuki na Nyota (Tanzania), Redsea Cultural Foundation (Somaliland, Somalia, Djibouti, Ethiopia, Eritrea, Sudan, South Sudan and UAE), Gadsden Publishers (Zambia) and Huza Press (Rwanda). Books are available from the publishers or from the Africa Book Centre, African Books Collective or Amazon. The 2018 anthology will be titled Redemption Song.